A very tiny being believed to be a dwarf was spotted on a branch of a tree in a Cebu town while students were taking a video that went viral. Facebook user Poy Gerzon Bacabac, who uploaded the video, said that the supposed dwarf appeared in Alegria, a municipality in the Province of Cebu in the Philippines. In the video, a voice is heard talking in local dialect saying that the dwarf was walking and moving as it changes position. Several children were watching under the tree while two kids are seen climbing up to take a closer look. A woman warned them not to touch it. The uploader encouraged netizens to zoom in on the video to see the dwarf clearly. One of the commenters even captured a screenshot and encircled the figure, but some said they cannot see it. Bacabac's post garnered more than 15,000 shares, over 3,500 reactions, and 675,000 views as of Thursday evening, June 21. 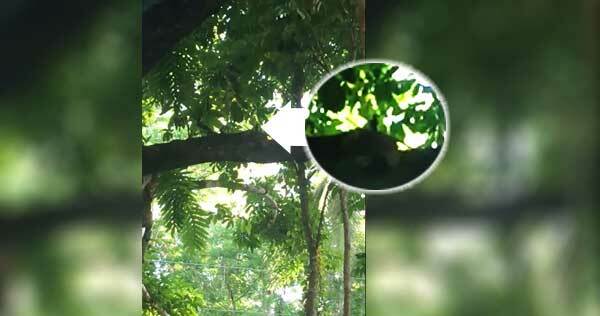 No other video has documented the alleged dwarf sighting in Cebu.